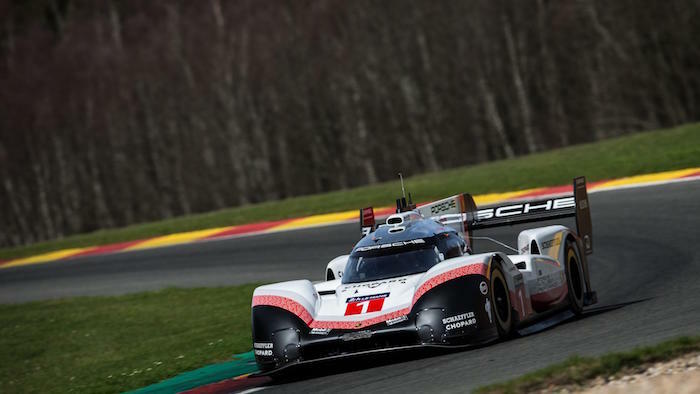 Porsche may not be competing in the WEC’s top-flight LMP1 category this year, but that doesn’t mean it’s totally retired its Le Mans-winning 919 Hybrid. Far from it. 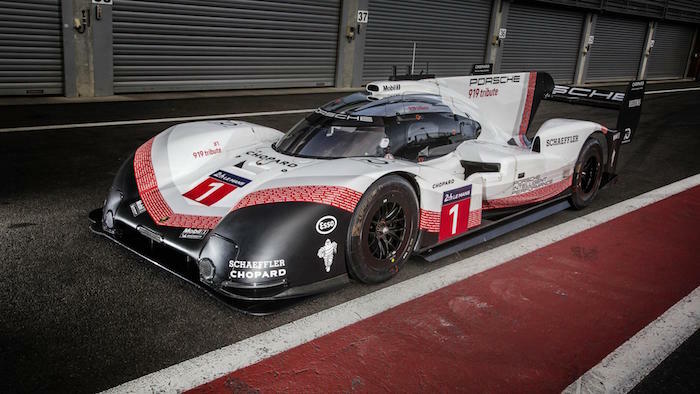 Enter the 919 Evo – a lighter, more powerful 919 Hybrid unshackled from the WEC’s many rules and regulations. The result? 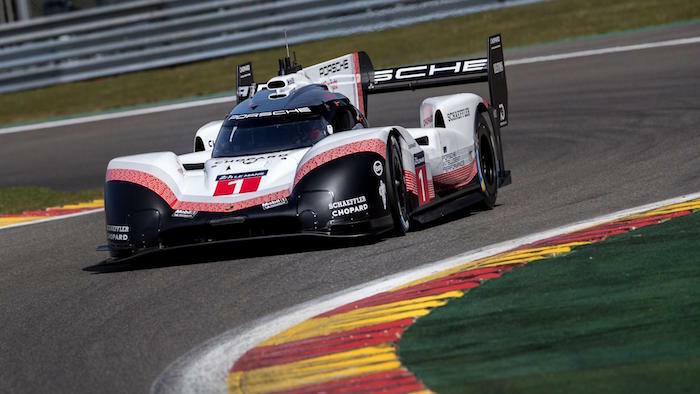 A 1m 41.770s lap around Spa – 0.783 seconds quicker than the 1m 42.553s that secured Lewis Hamilton pole position at last year’s Belgian Grand Prix, and some 12 seconds faster than the 919’s own 2017 qualifying lap at the Spa 24. Driver Neel Jani averaged 246km/h over the 6.96km lap, managing 359km/h before slamming on the anchors. 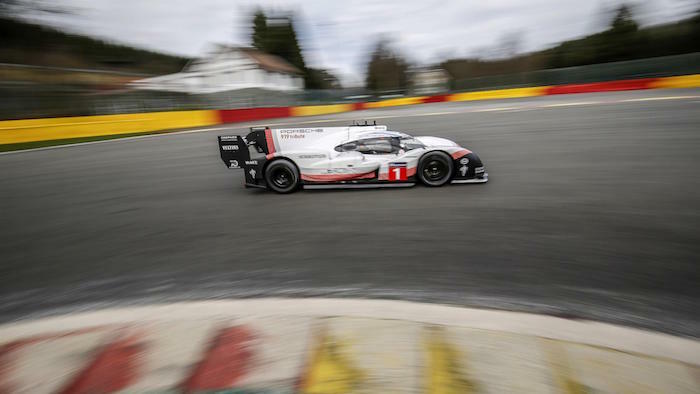 “The entire hardware of the powertrain remains untouched,” says Porsche, but now it’s binned the WEC-mandated fuel-flow meter that effectively limited the 919 to 500bhp, power from the 2.0-litre turbocharged V4 internal combustion engine has leapt up to 720hp. 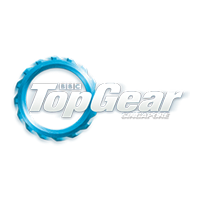 Power from the e-machine has increased from 400 to 440hp, giving 8.49 megajoules of boost. 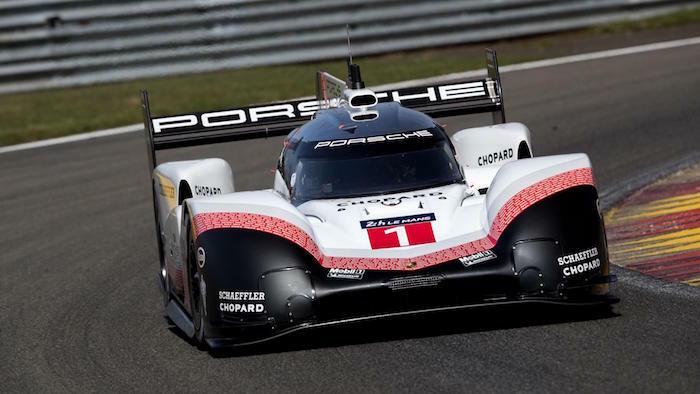 The front diffuser and rear wing are new, much bigger than the parts they replace and have “actively controlled drag-reduction” systems (a bit like DRS in an F1 car). These and other aerodynamic modifications means 53 per cent more downforce than last year’s car in Spa qualifying trim. 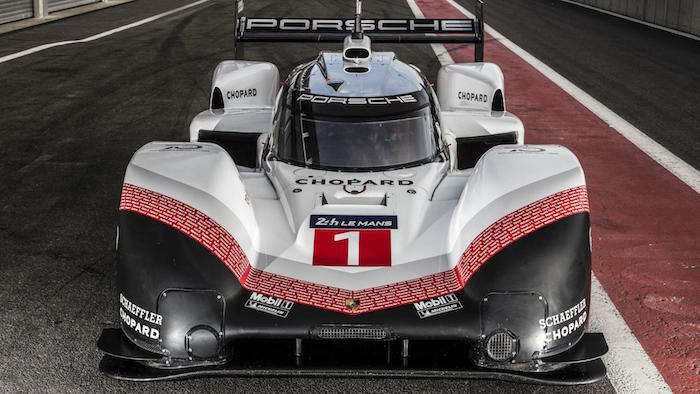 This, Porsche claims, is more downforce than an F1 car.Porsche also added a four-wheel brake-by-wire system, different power steering and stronger suspension wishbones. Removal of the air conditioning, windscreen wiper, several sensors and the pneumatic jacks mean weight is down by 39kg to just 849kg.